Headspace Darwin is continuing its young person’s group in 2018. 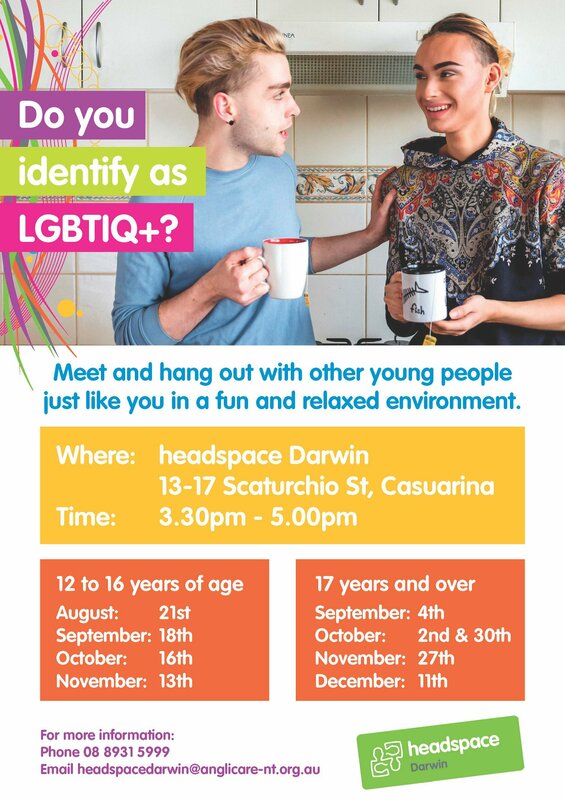 A safe and confidential place to be yourself, connect with like-minded young people and find out information about health, services and support. For people aged between 12 and 25. Get in touch with Headspace Darwin for more information.